Mastery of Consciousness Teachings: All of Nandhiji’s teachings- SivaSivaa Meditation, Kalangi Kundalini Yoga, Siddha Puja are tools of Mastery of Consciousness. The ultimate gift of a life-time for a human is the attainment of consciousness. In the attainment of consciousness, we determine the magnificence of realities for ourselves and of uplift humanity through our vibrations. Nandhiji teaches techniques of empowerment such as the art of manifesting on writing our daily work, attaining the ‘flow’ of creativity etc- as practical tips to unfold the genius of doings. 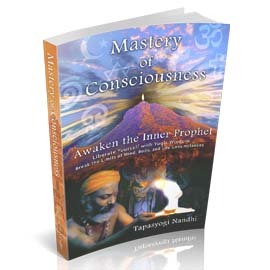 Mastery of Consciousness Teachings by Nandhiji conveys the mystical teachings of the Siddha Sages with effective tools and techniques that are simple and yet potent in creating magnificent realities. In our daily life, optimizing our each thought through Mastery of Consciousness awakens the Yogi in each of us, capable of infinite creativity, efficiency and empowered doings. 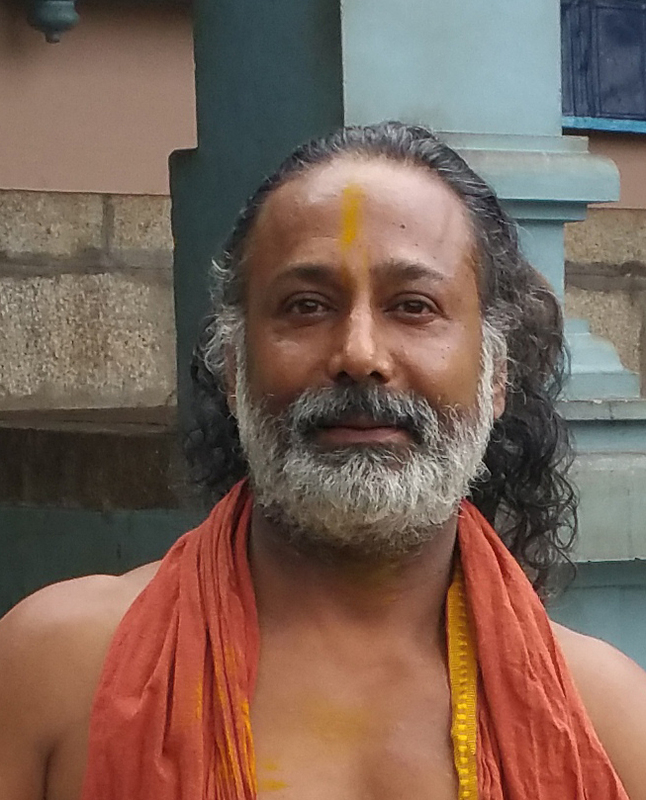 Mastery of Consciousness teachings integrates the mystical teachings and practice of the Siddhar Sages using potent tools such as yoga- Kalangi Kundalini Achiever Yoga; Siddhar Yagna- Fire Ceremony; Siddhar Puja- intensified power worship and an array of empowering yogic techniques. The objective is to awaken the Master in you as your inspired personal daily inner journey and empowering magnificent realities. Double Disc Set With Energized Turban, Rudraksha Mala and Sacred Prasad of the Ariven Siddha Temple. Book: Mastery of Consciousness- Awaken the Inner Prophet: Break the limits of the body, mind, and circumstances! Consciousness is the attainments of the meditative mind. The attainment of Consciousness is the most valuable of all gifts we can ever receive in a life time- the awakening of our mind to its full potential, realization of freedom and a life of inspired fulfillment. This book Mastery of Consciousness gives a clear map to attain Consciousness. Brief Autobiography of Nandhiji, Siddhar Yogi Visionary. Kalangi Kundalini Yoga: DVD coming soon! Nandhiji imparts the teachings of the mystic yogis, the Siddhas through yoga for each to be the Yogi. Kalangi Kundalini Yoga is a map to higher consciousness that awakens us to be the Yogi to break free of the limits of body, mind and circumstances. “Kalangi” means- wearing time as clothes, ie, to define time from our timelessness. Kundalini is states of consciousness to ride on. The objective of Kalangi Kundalini Yoga is to attain the higher states of consciousness, turiya while aligning the body and mind to the vibrancy of Source.